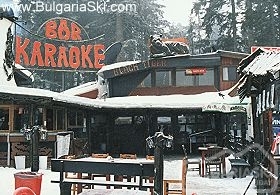 Report and photos by Mr. B.
I went to borovets for the first time last year and thought it was absolutely great. The night life was also crazy! 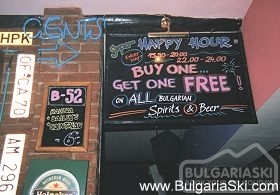 happy hours for 3 hours one after another for different pubs. All that makes for a night to remember! 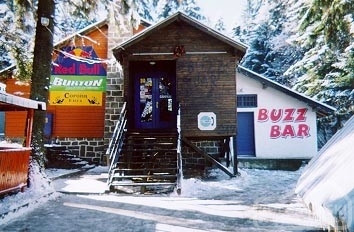 The Buzz bar was great and also a club i went to inside the samokov hotel. Oh and for food, the Black Cat Restaurant was amazing. 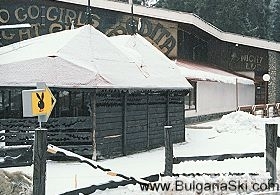 Just got back from Bulgaria end of February 2007 had great snow and sun but nearer the end of the week the sun was making it slushy around the bottom slopes. 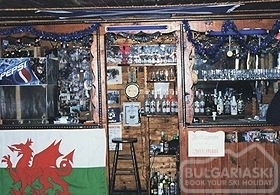 People are very friendly and helpful, there are a few touters outside bars but nothing to be worried about. Not much bartering going on in shops. Also a few exotic places but you never really notice them. The ice was a big problem, its ok when you’ve got your rubber soles on but when you have your ski boots on it can get pretty hairy. Good places to eat are Chilli Peppers, Frankos (pizza and steak), The Blue (steak), Red Dragon (Chinese, big portions and v cheap), Mamacetas is supposed to be good (Mexican) but found they tried to cram too many people into the restaurant and even though we booked they didn’t save our reservation. If you like pizza you can’t go wrong in Borovets, wouldn’t have the burgers tho and all of their chicken seemed pink but our tummies were ok so think that’s just what it looks like. Places to drink, Funkys and Frankos and Chilli Peppers we really liked. Stayed at the Edelweiss which is cheap and cheerful but you get what you pay for, shower was tiny and could hardly bend down and single beds weren’t very comfy. To keep your room for the full day on departure day was nearly £25 so wasn’t worth it as check out is 12 noon. Only tried out Hotel food for breakfast and they had a selection of breads, cereal, fruits and cold and hot buffet stuff which looked ok. My recommendations are to stay locally because we had to get a taxi every morning and night, so we hardy every went home after apri ski and just stayed out in our ski gear, but it would have been nice to get changed but we were far too tired to go home and come back again. Try get a hotel with a bath Change money at hotels they give a good rate and are safe (Most cash machines don’t use the new chip and pin – we took cash) Fly into Sofia it will make your transfer shorter If you haven’t got all your gear like hats, gloves, sunglasses and sox or even salapets and coats you can buy them all over and at quite a cheap price, even your own ski boots are cheaper. When you first join Ski School you have to do a little test down the nursery slopes then they put you in groups. After the first day the instructor asked if people wanted to go up or down, a couple of our group went up but also four came down from the advanced group and they were more beginners than intermediates and that was a real problem because we ended up standing around a lot of the day waiting for them. I actually think there should be a low intermediate and higher intermediate stage. 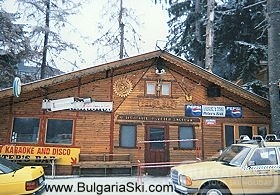 This is a great place for beginners and intermediate skiers but advanced would find limited slopes. Don’t get het up on the first day (Sunday) which is when most ski schools start, once you get your boots and get onto the slopes the instructors will look after you but it is a bit of a shove and push and very busy but the following days are really quiet. We all agreed with our instructor to start at 9.15 every morning which missed the rush to the gondola and everywhere was nice and quiet and also went for lunch early so the slopes were quieter later. Hope this helps! 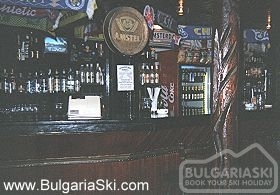 Can anybody tell me the average prices of a beer and food in Borovets? I'mthinking that it won't be to exspensive??? I GOT BACK A WEEK AGO, CAN'T STOP WISHING STILL THERE!!! WE HAD SUCH A BRILLIANT TIME THE NIGHTLIFE WAS FANTASTIC! ANY ONE WHO SAYS OTHERWHYS IS EITHER LIEING OR BORING!!!!!!!! 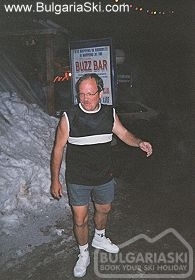 WE SPENT OUR EVENINGS IN FRANKOS, CHILLY PEPPERS AND THE BUZZ BAR, AND MET SOME GREAT PEOPLE. IT'S WELL WORTH GOING, BEST HOLIDAY I'VE EVER HAD AND GOOD VALUE FOR MONEY! every year we come to borovets.. its fantastic we enjoy it alot, last year fell in love with jimbob squirrel, a diplomat on holiday and now we are married...we will be coming back. 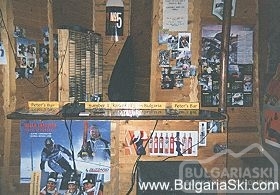 Please, post a comment on Borovets night life. 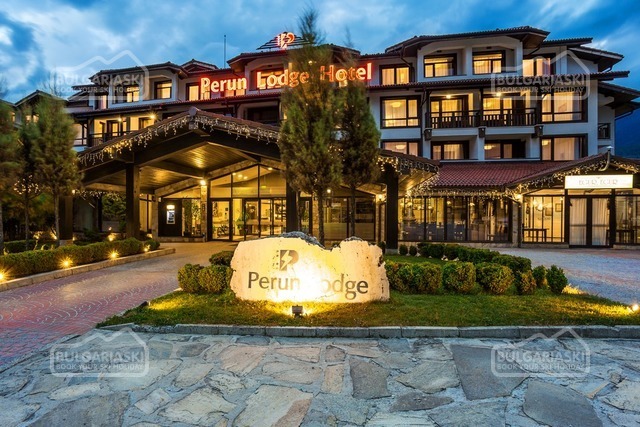 Best deal 7=6 Perun Lodge Hotel Bansko, Perun Lodge Hotel Get free overnights - 14=12 & 7=6! 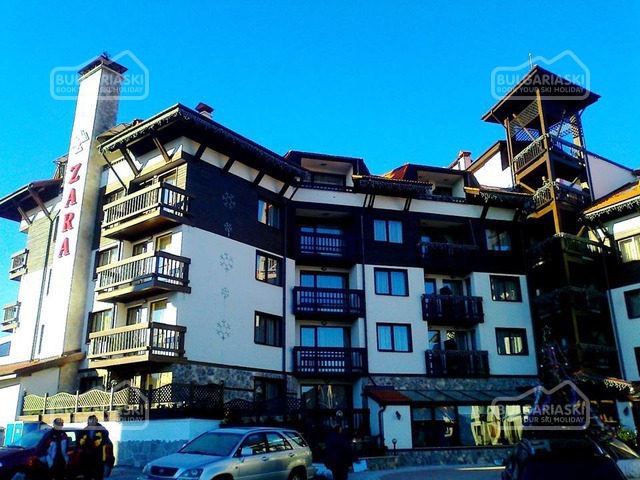 Early booking - 15% Zara Apart Complex Bansko, Zara Apart Complex - 15% discount until 31 October 2019 & 10% discount until 30 November 2019!